The Buick Riviera was GM’s response to the popular Ford Thunderbird. Instantly recognized as a design classic, the original Riviera was Motor Trend magazine's 1963 Car of the Year. The svelte 117-inch wheelbase personal luxury coupe was a pet project of GM styling head William L. Mitchell. Only astute Riviera fans can tell a 1964 from a ’63 at a glance (hint: check the hood ornament). New for 1964 was the optional dual-4-bbl, 425-cid, 360-hp “Super Wildcat 465” V-8 (At the time, Buick identified its engines by torque rating, instead of horsepower or displacement). The leaner and meaner looking 1965 Riviera closed out the marque's first-design generation with newly stacked hidden headlamps, taillight units integrated into the rear bumper and optional chromed five-spoke wheels. A new Gran Sport package combined added exterior panache with the 2x4-bbl Super Wildcat engine. First generation Rivieras are enjoying a renewed appreciation. The rare—and truly high-performance—1965 Gran Sport (3,354 produced) is the most valued edition. However, any fine 1963-65 can be driven and shown with pride. 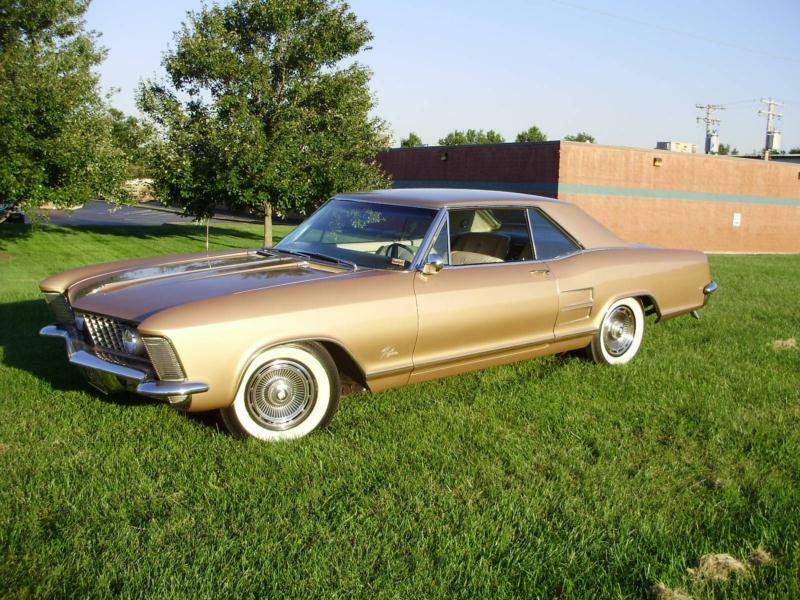 Click here to read Hemmings Motor News' Buyers Guide for the 1965 Buick Riviera GS.